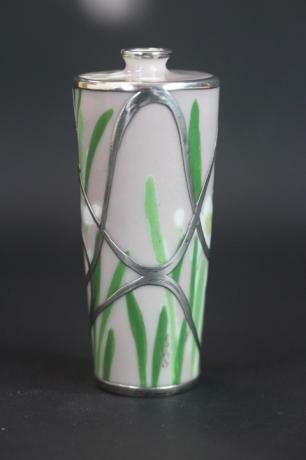 Description: Japanese early 20th century porcelain and sterling silver vase by NISHIURA studio. 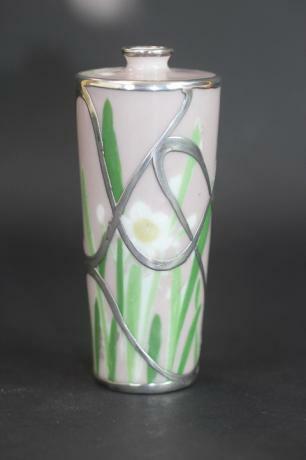 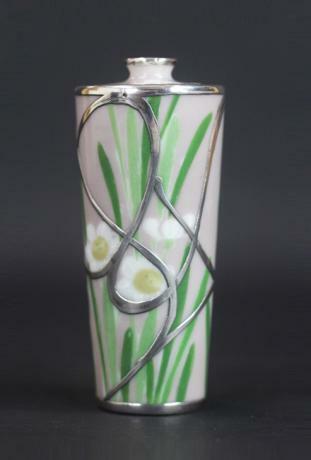 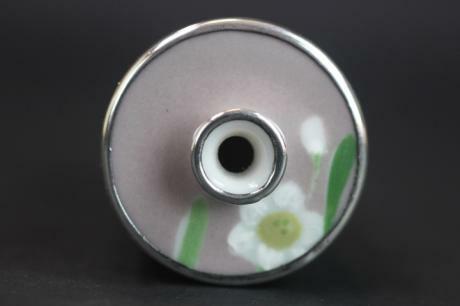 The vase has the design of narcissus with sterling silver overlay. 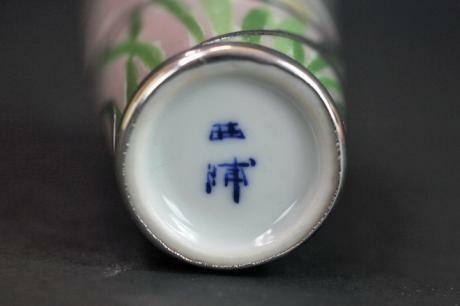 The vase is signed NISHIURA on the bottom. 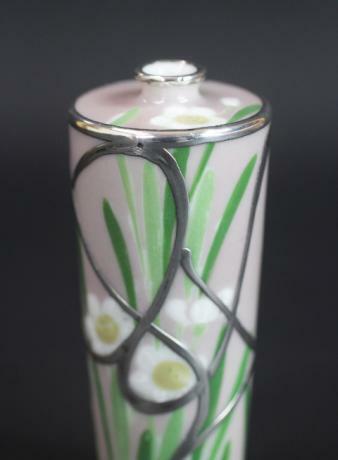 The vase measures 4" tall by 1 9/16" in diameter.